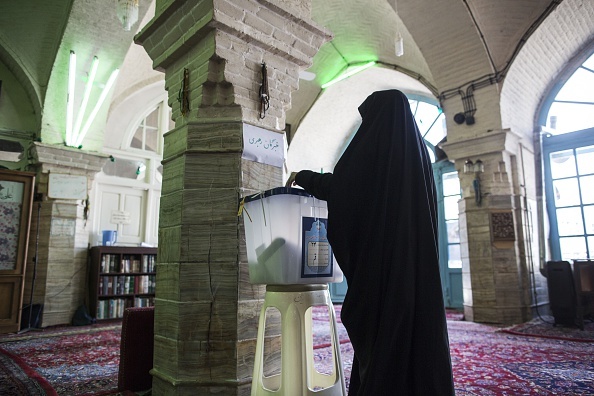 More than 30 million Iranians voted Friday in parliamentary elections. It is the first national ballot since the completion of a nuclear deal that led to the removal of most international sanctions. The elections are seen as pivotal – a referendum on president Rouhani’s reform agenda, support of the nuclear deal, and opening up more to the west. Preliminary results show reformists and moderates making significant gains. Guest host Susan Page talks with a panel of guests about what the results could mean for Iran’s future. Trita Parsi President of National Iranian American Council and author of "A Single Roll of the Dice - Obama's Diplomacy with Iran." MS. SUSAN PAGEWelcome back. I'm Susan Page of USA Today sitting in for Diane Rehm. She has the flu. Election returns in Iran indicate big gains for reformers and supporters of President Rouhani. The elections are seen as a potential turning point for Iran. It's the first national election since the nuclear agreement was signed and sanctions were lifted. MS. SUSAN PAGEJoining me in the studio to talk about the Iranian elections: Robin Wright with the U.S. Institute of Peace and the Woodrow Wilson International Center. Trita Parsi at the National Iranian American Council. And Yeganeh June Torbati, she's a reporter with Reuters. Welcome to "The Diane Rehm Show." MS. ROBIN WRIGHTGreat to be with you. PAGERobin, let's start with you. Tell us, what do we know now about returns from these elections that were held on Friday? WRIGHTWell, the first thing we need to all understand as we look at the results is that Iran remains a revolutionary society and state and that there are rigid restrictions on who can run for office and they all have to pledge loyalty to the system. But within that context, there was a major political shift within Iran. And you saw not just a coalition of centrists, some reformers and moderate conservatives win, but you also saw the ouster of some of the leading hardliners, both in parliament and for the Assembly of Experts. Many of those who had opposed the nuclear deal were -- or even opposed deals with the outside world after the lifting of sanctions -- were rejected. WRIGHTThey will not return. Including one who was a former speaker of parliament, whose daughter is married to the son of the supreme leader. So he's very well connected, has wide experience, and yet Iranian voters rejected him. So we're going to see, in the new parliament, a lot of new faces. There are double the number of women. One of them, in an interview after the election results were pouring in, even told a European reporter that she thought women should be the ones to decide what they wear and not parliament. WRIGHTYou've seen some people who were talking about the need for major reforms in terms of the economy, private individual freedoms, social reforms. And I think those are the kinds of issues that will be tackled. But we should have no illusions about dramatic change overnight. PAGETrita, were these results a surprise? MR. TRITA PARSIIn many ways it wasn't a surprise that the folks that are in favor what Rouhani has been trying to do and his agenda made gains. What I think is a bit of a surprise is the significant gains that were made in the Assembly of Experts and the key individuals that Robin mentioned that were actually voted out. I mean, one of the gentlemen who called Mohammad Javad Zarif, the Iranian Foreign Minister, a traitor for having done the nuclear deal was voted out. Or the other, the former speaker, as Robin mentioned, was voted out. The current chairman of the Assembly of Experts was voted out. That, I think, was a bit of a surprise. PAGELet's talk about the Assembly of Experts. It's such a great name. Yeganeh, tell us what is that group and how powerful is it? What does it do? MS. YEGANEH JUNE TORBATISo the Assembly of Experts is an 88-member body made up of clerics. And its members are elected every eight years. It has two main constitutional roles. The first is to select the new supreme leader when the previous one is no longer serving. And the second is to oversee the supreme leader and to, you know, act as a check on him and his actions. So those are the -- kind of the two main constitutional roles it's charged with. PAGESo they get eight-year terms? PAGEDo we think that there will be a new supreme leader within the next eight years? TORBATISo Ali Khamenei, the current supreme leader, is 76 years old. He's had some health problems in the last couple of years, but he appears right now to be in fairly good health. But just, actuarially speaking, sure, in the next eight years we might expect that they'd have that chance to elect a new supreme leader. PARSISee, the Iranian officials don't like to talk about the health of the supreme leader or give any hints about it. What -- the way they have behaved over this last couple of months and with this election makes it very clear. They at least expect that the likelihood is quite significant that the current people, the ones who were just voted in to the Assembly of Experts, will be the ones who will elect the next one. WRIGHTThe Assembly of Experts is much like the College of Cardinals at the Vatican, in that, they elect the supreme leader, the supreme religious authority in the country. But what's also interesting is that the next supreme leader, like the College of Cardinals, will probably come from the Assembly. And so it's very important that some of the hardliners were ousted and that the leading candidate, the one who won the most votes, was former President Rafsanjani, a wily politician who always, we all think, wanted that position, but had been marginalized by the current supreme leader because of a rivalry over power and the future of the Islamic Republic. WRIGHTAnd so that he was elected so popularly is in some ways a signal to the Assembly of Experts, to the regime that, you know, he's back. And you have to remember that the majority of Iranians today were born after the revolution. That the revolutionaries are now in their 70s and 80's. WRIGHTAnd so there is a -- there's not just a political dynamic taking place, there is a demographic transition underway in Iran. And what the revolutionaries -- the original generation has to do to ensure that the revolution survives is make sure that the majority of people are standing behind it. And that's what makes this election for this body, unlike the College of Cardinals, so dynamic and so interesting. PAGEOur phone lines are open. Give us a call, 1-800-433-8850. Trita. PARSIAnd it's really fascinating to see this musical chair of politics in Iran and how some of these individuals, who only a few years ago were quite unpopular and actually were humiliated at the polls -- such as Rafsanjani, who didn't manage to get into the parliament during the reform this year, who was beaten by Ahmadinejad in 2005, and was counted out and was viewed very much as a relatively unpopular figure because of accusations of corruption, et cetera, now has come back and gained significant importance, not just because of winning these elections but because both he and former President Khatami (sp?) have been instrumental when it comes to rallying people and convincing them to go out and vote. PARSIThis happened this time around and it also happened in 2013. It was probably one of the most important factors as to why people went out and voted in 2013, mindful of what had happened in 2009 with the massive election fraud that took place. PAGEDo -- was turnout pretty good? Do we know? PARSIWell, for an election of this kind, which is a parliamentary election, to have it around or slightly above 60 percent is quite good. TORBATIRight, I agree, Trita. It's sort of in line with kind of past parliamentary elections. The turnout was very much consistent with those. One note, kind of on the Assembly of Experts. You know, I mentioned sort of the two major constitutional roles that it plays. Robin or Trita, please let me know -- you all have more experience, let me know if you disagree. But I can't remember a point at which the Assembly of Experts actually has censured the supreme leader for any of his actions or sort of like criticized him even openly. It has tended to be a body that has not challenged the supreme leader and has not, for whatever reason, exercised that constitutional role. And it's an open question going forward whether it will. TORBATII've seen analysis and kind of speculation from Iran -- Iranian analysts inside Iran saying that, you know, Rafsanjani, by sort of engineering this coalition along with the reformists is not so much looking to limit this current supreme leader, but rather prove an instrumental role in choosing the next one. PAGEWhich would be more like a democracy we would recognized, if there were competing power centers and the Assembly of Experts might criticize the supreme leader. PAGEThe voice of the nation that one was called. WRIGHTThe voice of the nation. And so it was very interesting to see how they gamed this political system. There is diversity. And the extraordinary array and the -- tipping their hat in each coalition to the number of women. And that's what, you know, you're beginning to see diversity. One of the things most people don't know about Iran's parliament is that it has allocated seats for religious minorities -- not all, but the major ones in Iran, with the exception of the Baha'i -- that include a Jewish member of parliament for one Zoroastrian and I think three or four Christians. And they are proportionately representative. And so you had voting turnouts at synagogues Iran as well as churches. WRIGHTAnd Iran's constitution is defined in the kind of religious democracy sense, that you don't have political parties that are defined by politics -- much more by religion. TORBATIJust a point on the diversity question. I think we sort of should remember that just out of the gates, you know, many, many candidates were disqualified from even running, including a grandson of the founder of the Islamic Republic, which sort of shows you some of the -- I suppose one metaphor you could use would be, it would be as if, within the United States, if only one party was allowed to really field candidates. There is a diversity of views, you know, within that. But, you know, half of the 12,000 candidates were disqualified. The vast majority of those are -- were reformists. TORBATIAnd reformists sort of had to turn to this list of candidates that they wanted to elect to parliament. If you look at the names on that list, some of them are very unknown. Some of them are actually principlists and conservatives in some ways. And part of the reason they had to do that was because so many of their favorite candidates had been disqualified by the guardian council, which is sort of another clerical body that oversees all of this. PARSIAnd it is precisely what Yeganeh just said, that this is actually a very interesting outcome. Because we have consistently seen that there have been quite effective -- or actually quite extensive efforts to make sure that the elections are skewed in such a way that the reformers and the moderates would not be able to make headway. And, once again, we see that that has failed. Remember, 2013, a lot of people were very upset because several of the other reformist candidates were excluded, they were not allowed to run. And it was only essentially Rafsan -- Rouhani and Aref that remained in the field and then Aref dropped out. PARSIThat ended up actually being a blessing for the moderates because you had six conservatives, that split the conservative vote. And all of the anti-conservative votes essentially went to Rouhani. A similar thing seems to have happened here, in addition to another thing. I think the disqualification of the reformists actually was an effective get-out-the-vote campaign for the reformists and for those who wanted to vote against the conservatives. WRIGHTOne of the -- another one of the fascinating things about this election is that it was eight days long. I mean, as an American living though the tortuous American political system, I found it very enviable. But what's -- Iranian politics are so dynamic that people in eight days actually find, identify and figure out who they're going to vote for from -- when sometimes you have 20 people running for a single seat, even though half the candidates were disqualified. There were 12,000 who registered, just over 6,000 or about 6,000 were allowed to run for a 290-seat body. So it was fascinating to find out how Iranians could change a system in such a very short time. And they changed it quite dramatically. PAGEI'm Susan Page and you're listening to "The Diane Rehm Show." Let's take some callers. Ray is calling us from Cleveland. Hi, Ray. RAYGood morning. Thanks for taking my call. PAGEAnd, Ray, you know, it sounds like you know a lot about this topic. Are you Iranian American yourself? RAYI am an Iranian American. I've been in this country for 40 years. I follow the revolution of the country step by step toward not only the United States means and broadcasting and what have you, but also international and as well as news from inside. PAGEAnd do you have family still in Iran who might have participated in the election? PAGEAnd did your family members turn out to vote? RAYActually, no. Because they knew, and I know, that their vote doesn't mean anything. This is just a show. On the street of Teheran and other cities, they were paying people to vote. PAGEAll right, Ray. Thanks so much for your call. It's interesting to hear your perspective and hear about the decision by your own family in Iran to not participate. What do you think, Yeganeh? What do you think about what he said? TORBATII think there are -- there is real skepticism among, you know, of course, observers and some members of the Iranian public about the elections and about the whole process. People really bear some deep scars from the events of the last, you know, sort of 10 years in Iran with the disputed 2009 elections. I've been in touch with activists, both inside and outside Iran, kind of, since the election on Friday. For those who seek to change Iran gradually and hope for, kind of, more openness and more democracy, those that I've spoken to see these results as the best possible outcome, given that their -- the preferred candidates, you know, the 6,000 or so, many of them were disqualified. They see what happened on Friday as the best possible results. TORBATIBut there -- it's true that, you know, there are a lot of limitations. President Rouhani faces a lot of demands to open up Iran politically. There are still, you know, many journalists in prison, several American citizens still detained. Those are things that he will have to sort of face going forward. And possibly there's hope that the results of this election will make those -- making those changes easier. PARSIWe've heard for quite some time a lot of skepticism. And I think a lot of skepticism is quite warranted. Because, at the end of the day, there are problems. So the folks who have rejected the elections because of the flaws of the system, I don't think they have misread the flaws of the system. The system has significant flaws. There's absolutely no doubt about it. What I think they have misread though is the dynamism and the power of the Iranian society to be able to change things peacefully from inside, even though that change is very gradual. It is not fast enough in the minds of many. PARSIBut nevertheless, if you're inside, if you're over there and you have this small opportunity to be able to make change without taking a huge risk, that is far more attractive than to think that you can go out and do another revolution or do the type of a fast change that many would like to see, but carries with it such risks that a lot of folks don't want to go down that path again. It's not in any, way, shape or form, in my view, a legitimization of the system for people to participate in it. It's a way for them to use that small opportunity to change their lives for the better. TORBATIThere was an interview with a very famous actor and director, Hamid Farooq Masjid (sp?) . He posted it on his Facebook a couple days ago. And he's interviewed -- he was approached by a state TV reporter who asks him, you know, why are you voting? What do you think about kind of the presence of people here. And in a couple minutes he sort of summed up what he felt was the reason that people are voting. First of all, he viewed it as rather than trying to elect a certain candidate, they're actually trying to stop other candidates, namely the hardliners, from getting elected or from retaining power. TORBATIAnd he also -- he likened it to, you know, in this small space that's allowed for breathing, they have some -- they're trying to get as much oxygen as they can. PAGEWe're going to take a short break. When we come back, we'll continue to take your calls and questions, 1-800-433-8850. Stay with us. PAGEWelcome back. I'm Susan Page of USA Today, sitting in for Diane Rehm, and with us in the studio, Robin Wright. She's an analyst and Joint Fellow with the US Institute of Peace and the Woodrow Wilson International Center. She's a contributing writer to the New Yorker and she's author of "Rock the Casbah: Rage and Rebellion Across the Islamic World." In fact, I was the guest host when we talked about Robin's book when it came out. Also with us, Trita Parsi, President of the National Iranian American Council. He's the author of "A Single Roll of the Dice: Obama's Diplomacy with Iran." PAGEAnd also with us, for the first time on the Diane Rehm Show, Yeganeh June Torbati. She's a reporter for Reuters who has covered Iran. She now covers sanctions and national security issues. Here's a tweet we got from Brill. You know, right before the break, Robin, you said that there are designated spaces in the Iranian parliament for religious minorities except for the Baha'i'. And he says, he writes, what can you tell us about the situation of the Baha'i' in Iran now? Do you see the election having any effect, positive or negative? Trita, do you want to take that one? PARSIBaha'i's belong to the most persecuted religious minority in Iran. They're the ones who have it the worst, unfortunately. They suffered tremendously from the very beginning of the revolution. There are some very high profile cases of leaders of that faith who are in jail for quite some time. And the question that is on a lot of peoples' minds is will this election result, not only help Rouhani and his efforts to be able to improve the economy, but will it have an impact on what a large part of the electorate wants? PARSIWhich is also a much more open society. Remember, when he was elected in 2013, he rallied, not as a reformist, but he definitely sought the green vote, the people who had voted in 2009 and had gotten their votes stolen from them. And I don't think it's going to be on top of his agenda, but with a Parliament that no longer is dominated by folks closer to Ahmadinejad, the former President, it's going to be increasing difficult for President Rouhani to not act on the human rights front and the civil rights front. PARSIBecause he no longer has the excuse. He had a very powerful excuse or pretext early on which is he had to focus on the nuclear issue and everything else was priority number four and five. The nuclear issue was number one, two and three. And then there was the elections. Now we've past that point, so it's going to be very interesting to see how the demands from society are going to increase when it comes to this point. WRIGHTThe number one issue in Iran now will be the economy and dealing with transitioning from a sanctioned, crippled economy, victimized itself, by its own mismanagement, compounded by international sanctions. And transitioning to one that deals with the outside world, that does contracts and tries to seek private investment. And private investment by the outside world will depend largely on how Iran treats its own people. So, there's that interconnected aspect of if you want to thrive, it's just like the Iran nuclear deal. WRIGHTIf you want to better the economy, you've got to deal with the nuclear question. And it was that intersection. Now you have the intersection of the economy, the number one priority. And how does Iran treat its own people? And whether it's the execution of minors, the harassment of its people, or the fact that two presidential candidates from 2009 are still under house arrest five years later. And all of those issues, I think, are going to be how the outside world judges Iran and whether it wants to do business. WRIGHTSo, it's, while, he has to deliver on both of them in order to be productive and lead to a different kind of Iranian relationship with the outside world. And restore its historic place in the region. TORBATIRight. I mean, I agree with Robin there. You know, Rouhani was elected with a coalition of reformists and moderate, moderate conservatives back in 2013. Those forces were again, you know, crucial to this win. You know, the former President Khatami, who's sort of the most famous reformist politician, issued a message asking, you know, asking people to vote, which is really seen as crucial. And those are some of their biggest demands, you know, at rallies for these various candidates. People were shouting for the opposition leaders to be released. So that's something that he can't -- he won't be able to ignore going forward. PAGELet's go to Mike. He's calling us from Gaithersburg, Maryland. Mike, thanks for holding on. MIKEWell, thank you and thanks for taking my call, Susan. This is a very interesting conversation. I'm just wondering what your guests think in terms of whether yesterday's vote actually validates and affirms the approach of the Obama administration and Joe Biden's efforts in particular to kind of push this nuclear deal and bring, sort of bring Iran out of the shadows and back into an international dialogue. And how does that reflect on the gang of 47 extreme Republicans in Congress who fought so hard against it? PAGEYeah Mike, great question. This Iranian deal has become a big issue, even in the Presidential campaign going forward. What do you think, Trita, is this a vindication of the Obama approach? PARSII think it is. And if you take a look at it in a historical perspective, you see that there has been other moments in the past, in which the Iranians have tried to move in a more moderate direction. But the moderates have never really been able to show that there were any benefits getting Iran for them pursuing that path. In 2001, when Khatami was President, the Iranians and the Americans actually worked closely together, behind the scenes, in Afghanistan. And the envoy of President Bush actually has said that the Iranians played a crucial role in making sure that after the Taliban were defeated, a new Constitution was found, a political solution was found for Afghanistan. PARSIBut only six weeks after, the US and Iran worked very closely together on this issue, President Bush put the -- put Iran in the axis of evil. So Iranian moderation was rewarded with membership in the axis of evil. And we saw what the aftermath of that was. The relations went further down south, more tensions between the two countries. This time around, Iranian moderation was rewarded with the lifting of sanctions by President Obama. And only a couple of weeks after we see implementation day, we have this election with this result. I think it is a vindication. WRIGHTThe interesting thing about the nuclear negotiations was that the six major powers involved in negotiating with Iran actually gamed the nuclear negotiations to make sure they were complete before the election cycle began. And in fact, it took much longer than they thought, but the whole goal was to get the process implemented. Not only signed, sealed and delivered, but implemented before the election. And it was implemented in January, so it was a very close call, but that's what the outside world wanted. WRIGHTNow, the irony is that the revolutionaries, that first generation of the devoted, the principalists and so forth are almost politically paralyzed now by the idea that the nuclear deal, the re-engagement with the outside world, means the return of foreign influence and the dilution of their control over society, over culture, over business and everything else. And one of the hard liners running, the former Speaker of Parliament who ran for office and was defeated actually campaigned, saying that we're afraid that rapprochement or re-engagement with the world will mean the return of useless objects sold across Iran. PAGEWhat kind -- what's a useless object? Do you mean consumer goods? WRIGHTWell, it's the West -- absolutely. WRIGHT...you know, reflections. Yeah, it's the whole thing, whether it's skinny jeans or whatever. Even though most Iranian girls wear skinny jeans anyway. But it is the Supreme Leader campaigned, the one thing he said during the campaign was that this -- that the outside world, particularly the United States was trying to transform, to control the outcome of the election. And so, they want it to be seen as the real vote. And they took the turnout, they translated the turnout as a vindication and endorsement by the public of their revolution and religious system. So, it's this funny thing that Iranians really want to re-engage, but the leadership wants to control the extent of that re-engagement. PAGEA lot of skepticism in this country about whether Iran can be trusted to live up to the details of the nuclear deal. Does this election, the results of this election, have any impact on how likely Iran is to follow all the details of the deal they made? WRIGHTI don't think so. I actually think that the Iranians would probably comply with it anyway. I mean, I'm actually a little bit more worried about what Washington does in trying to unravel the deal. There are a number of legislative steps that are trying to introduce new kinds of sanctions and they go against the spirit of the nuclear deal. But I think the Iranians have actually gotten to where they wanted to be on the nuclear program. They developed a capability. They can move forward if they actually want to make a bomb. So, I think they got to the point -- and they don't need to move much forward. PARSII think Robin is right. I mean the political elite in Iran have already made a decision and they've already paid a price. So, unraveling that makes absolutely no sense. The only circumstances that I could foresee I which the Iranians actually would start walking away from the deal is exactly what Robin pointed to. That they would not be getting what they were promised as part of the deal, meaning that the sanctions relief ends up in practice not working the way that it was -- is looking on paper. PARSIAnd right now, we're already seeing some problems with that. Many of the banks are not cooperating, so the Iranians are starting to barter their old trade with Japan and the EU, et cetera, because the banks are not getting involved. Insurance companies are still afraid of dealing with Iran, even though the sanctions have been lifted. That, I think, is a greater fear towards the durability of the deal than what the outcome of this election. PAGEYeganeh, I know that you cover the sanctions issue closely for Reuters, and I wonder if you think the results of this election, which are encouraging from the US point of view, will help address some of the political concerns, domestically, about the nuclear deal. Could it have an impact, or do you think not? TORBATII think whether Iran is going to implement or not the nuclear deal I agree with Robin and Trita. It was not really at stake in this election. These elections, traditionally Iran's foreign policy has stayed largely consistent, in terms of its policy towards the United States. And around the region. These elections are sort of more consequential when it comes to domestically and domestic policies. And the policies that President Rouhani is able to undertake in order to implement some sort of secondary aspects of the deal. For example, changing the foreign oil contracts. TORBATIChanging oil contracts that Iran signs with foreign oil companies. He's been wanting to push through sort of a revised version of the contract that is more beneficial to foreign oil companies. Many hardliners in Parliament were against those changes and it's more likely that that sort of oil contract will now be able to be approved because of these results. PAGEI'm Susan Page and you're listening to The Diane Rehm Show. We want to take some more of your calls. Daryush has been waiting patiently. He's calling from Lynchburg, Virginia. You're on the Diane Rehm Show. DARYUSHGood morning. Super fan. I was calling to see if the people on your panel would agree with me that what's taking place is finally legitimizing the eight years of President Khatemi and undermining the eight years of Ahmadinejad and if this election of the people who will be selecting the next Supreme Leader is giving the reformists the ability to pick someone to follow after Khamenei who will represent Iran to the world with less obstructionist views and what they think about this whole thing in the construct of worrying about a proxy system of -- like they were just mentioning a legislative operation ajax which could undermine everything that's been done since Rouhani was elected. PAGEAll right. Thanks so much for your call. Who'd like to respond? TORBATII think that the evidence has shown over the past, you know, 37 years of the Islamic Republic, that generally, when people have the chance, the Iranian people tend to vote for sort of more moderate candidates. Candidates more open to international relations and Iran's economic -- lack of -- or coming out, emerging out of economic isolation. However, there are unelected -- Iran has this sort of conflict between elected and unelected bodies that's, you know, right down to its very Constitution. TORBATIAnd, as we saw in the term of President Khatami, he was elected in 1997 with huge hopes for change and reformism gradually within Iran. And many of those initiatives were stymied by conservatives in the judiciary and the Guardian Council. So, there is sort of that conflict, and traditionally, the unelected, more conservative bodies have been able to put a stop on the reforms that they really don't like. WRIGHTOne of the interesting outcomes of the election is that the Chairman of the Guardian Council, this body of 12 people that vets all candidates, vets and passes on all legislation, was running for the Assembly of Experts. This body that picks the Supreme Leader. And he came in 15th and barely, just barely won. So, one of the questions is what does this do to the prospects of the next Supreme Leader? I think there's no question you're not going to get some reformist coming in as the next Supreme Leader. WRIGHTThere's no question that this will be someone who believes in the Revolution, believes in its doctrine, is going to adhere to it. So, it will be within a very narrow range of people. And the deep state still is in control, whether it's through the intelligence, the judiciary, security forces of a significant and disproportionate group of people and institutions that can push back against great movement for change. And so, I think that, you know, we may see a lot of tension play out as those people want to make sure that they're not marginalized. And that they can control, whether it's their power, their perks or their privileges. PAGEYou know, we've got a caller, David from New Albany, Indiana. Let's go to him. David, hi, you're on the air. DAVIDThank you for taking my call. You know, I'm 29 years old. My father was born in Iran, so this is an issue I've always kind of had a huge interest in. And one of the questions that I have is the importance of the internet and how actually President Khatami was prohibited, his image was prohibited being shown in the media, the state run media. And how he was actually able to go outside of that and use the internet to communicate with people. And tell them who they should vote for and the kind of the importance of reformists getting outside of that traditional state run media through the internet. PAGEYou know, it's interesting. New technology is changing politics here and everywhere else. Yeganeh, tell us about it. PAGE20 million users of an app called Telegram. TORBATIRight. Out of a population of 80 million, so and that, who knows how -- what proportion of the voting age population, but out of a population of 80 million, 75, 80 million, you've got 20 million users for Telegram and it was shared widely. It was viewed, I think, something like three million times in one day. So, and that sort of continues a tradition of, you know, the Iranian blogosphere was sort of groundbreaking in the 90s, as well. So. PAGEHere's an email from Sarah who writes us from Port Matilda, Pennsylvania. She writes, I'm fascinated by the nation of Iran and the social changes taking place, but for my whole life, I'm 42, I've understood it to be an anti-American environment, not safe for someone like me to visit. So, in light of these developments, when can I go visit Iran? Trita, what would you say? PARSIWell, Americans visit Iran, already now. I think Robin is there, I think, I don't know how often. But there are problems at the same time. And as of late, we've seen a lot of Iranian Americans in particular who have been arrested. A few of them were released, but a few of them are still there in prison. And those are going to be issues that have to be resolved. But the perception that a lot of Americans have, which is that Iranians are anti-American, it's a very unsafe place. I think is dispelled within the first 24 hours for most Americans when they visit there. PAGEWell Robin, let me ask you, just, we have almost no time left. Should Sarah feel free to go there now or do you think she should wait a bit? WRIGHTI never advise anyone on where to go anyplace. My research assistant, who's not Iranian American, he's American born, American bred, has no ties to Iran, went to the University of Tehran to study Farsi. And he spent 41 days in (word?) Prison and he was just released as part of the prisoner swap. PAGESo, we're glad he was released and Sarah, you might want to hold off just for perhaps a little bit. Well, I want to thank our guests for joining us. Robin Wright, Trita Parsi, Yeganeh June Torbati. Thank you all for being with us this hour on "The Diane Rehm Show." PAGEI'm Susan Page of USA Today sitting in for Diane Rehm. Thanks for listening.